Oversized, corner building lot located in the booming city of North Port, Sarasota County's largest and most highly populated city and soon to be home of the Atlanta Braves Spring Training Complex. Cited by Forbes has one of the top cities in the nation for home buyers, for business/careers, and education, named by Moneyrates as the best city in the US for Young Entrepeneurs, and listed by Gallup as one of the top cities in the country for well-being, North Port is a city on the move. This property is located close to amenities with easy access to both US 41 and I-75, multiple golf courses in the area and a short drive away from world class beaches, boating and fishing. 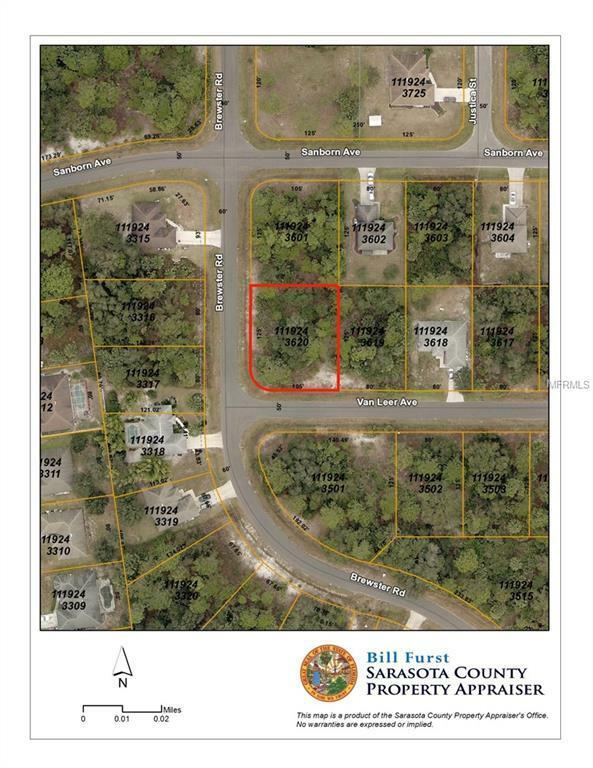 Seller has multiple lots in North Port and is willing to package for a discount. Listing provided courtesy of Jtk Realty Inc.